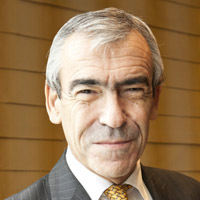 The financial crunch, global terrorism, collapse of major organisations such as Arthur Andersen, Enron, Equitable Life Assurance Society and HIH Insurance, and natural disasters like the Fukushima Daiichi nuclear accident and the 2011 Thailand floods are examples of events that have pushed risk management to the top of the agenda of most organisations. Coupled with insurance premium increases and requirements to retain substantial tranches of risk, risk management is becoming increasingly important to everyone. Organisations are being compelled to address their risk management culture and find ways to better manage the total cost of risk. Captive insurance management, when combined with high quality advice, will enhance stakeholder value, reduce costs and assist in embedding risk management systems to meet current compliance requirements, as well as best practice accountability for risk throughout an organisation. All quoted companies are under scrutiny by regulators to meet corporate governance standards, as first put forward in the Institute of Chartered Accountants in England and Wales’ (ICAEW) Internal Control: Guidance for Directors on the Combined Code. The UK Corporate Governance Code, as it has evolved today, is a set of principles of good corporate governance aimed at companies listed on the London Stock Exchange. It is overseen by the Financial Reporting Council and its importance derives from the Financial Conduct Authority's Listing Rules. The Listing Rules themselves are given statutory authority under the Financial Services and Markets Act 2000 and require public-listed companies to disclose how they have complied with the code, and explain where they have not applied the code - in what the code refers to as “comply or explain”. Private companies are also encouraged to conform to good corporate governance practices; however, there is no statutory requirement for disclosure of compliance in private company accounts. The code adopts a principles-based approach in the sense that it provides general guidelines of best practice. This contrasts with a rules-based approach, which rigidly defines exact provisions that must be adhered to. Such standards have now become the standard of care and best practice, which other organisations seek to achieve or exceed. The financing of risk is a major element in any corporate governance strategy and requires careful consideration. Risk transfer costs have risen considerably in the traditional insurance sector, hence the age-old question of whether to have a captive is once more a relevant question that all serious organisations should ask themselves today not simply for the sake of it, but to firmly embed within their culture a risk management ethos that induces continuous accountability. In many respects, it also ensures that an organisation can confidently reply to its stakeholders’ concerns regarding the management of risk. Therefore, it is timely to consider the concept of captive insurance and reconsider the advantages it could bring to the new world order of today. A “captive” insurance company (captive) is an insurer formed to participate in the insurances of its parent organisation (parent) or of a specific generic group, the latter of which is normally tied by some common bond, either economic, trade or social. In most respects it operates as a normal insurance company, although generally it only accepts risks from its parent. The following describes the numerous advantages of forming a captive. A captive assists the parent to control the financing of its risks, its insurance programme and structures, and its relationships with external intermediaries and underwriters. An organisation that decides to set up and run a captive increases awareness and implementation of its risk management skills and techniques. This applies to an organisation of any size, enabling it to lower costs directly through reductions in losses and claims. Retention of risk, when carried out in a formal manner, brings an increased awareness of risk management throughout the parent. Regular review of financial results engenders risk awareness and rapidly identifies any adverse consequences. Identified risks can then be managed better, thus assisting in the continuous risk management cycle. This creates a culture of accountability, in which risk financing contributions (premium) are treated as an asset to be preserved. Organisations display a protective attitude towards their captive and other retained funds. They recognise that these funds belong to the parent and have not been paid out to a third party, and that the premium must produce a return to give value for money. In addition, a captive that participates at the primary level of risk demonstrates a commitment to minimise losses and thus strengthens the parent’s negotiating position in the commercial insurance market. Compared to the commercial market, a captive has the advantage of maintaining control over its administrative costs, which make up a significant element of the premium cost and eliminates marketing costs. Captive management is generally outsourced, with the parent controlling the expense margin. Overheads such as underwriting and claims expenses will be lower and are specific to the risks being accepted, rather than generic to the overall insurance community needs. By owning a captive, the parent can take a long-term view on funding risk, with its annual profit and loss not under the pressure of external insurers. To some extent a captive can insulate its parent from the volatility of insurance market pricing. In a soft market, a captive should be able to purchase reinsurance at competitive rates; whereas in a hard market, it can utilise any retained profits to take a greater share of risk itself, thus “smoothing” the parent’s funding costs. Utilising a captive allows a parent to calculate the cost of risk to be retained, and to fund the impact of any claims over a number of years. Risks are owner specific and insulated from the claims pattern of the general insurance marketplace, which loads the cost of other parties’ losses into premium calculations. At higher levels of risk, insurance or reinsurance protection may be needed, but such cover is often more properly priced on true catastrophe perils. tailored insurance covers, provided evidence can be shown that appropriate risk management procedures are in place. User applications are changing. Increasingly, captives are being used by larger corporations to enhance core products. This structure also plays a major role in long-range strategic planning as more and more companies seek optimum retentions and exert greater in-house control over their financial exposures. A captive can enable its parent to access the reinsurance market directly. Reinsurers have recently increased their interest in dealing with corporates and captive solutions on a direct basis, since risks are generally subject to stringent risk management standards and are thus better than average. Traditionally, captives have been set up in offshore jurisdictions to ensure cost-effective access to global reinsurance markets and to maximise investment potential for corporate funds retained within the captive. Despite international competition, Labuan International Business and Financial Centre (Labuan IBFC) has had considerable success in attracting both international and domestic Malaysian captives. As at October 2014, 40 captives were resident in the domicile. Its captive business recorded total gross premiums of USD437.5 million in 2013, an increase of 33.8% compared to USD327.1 million in 2012, mainly due to the risks underwritten in the engineering sector. A broad range of experienced service providers. As Asia Pacific’s preferred international business and financial centre, Labuan IBFC presents investors with an ideal balance of fiscal neutrality and certainty. Robust and internationally recognised regulatory framework: clear legal provisions and industry guidelines are provided and enforced by Labuan IBFC’s regulator, the Labuan Financial Services Authority (Labuan FSA). Facilitative and business-friendly legislation: businesses in Labuan IBFC are governed by eight modern acts, including the Labuan Islamic Financial Services and Securities Act 2010, which is the world’s first omnibus legislation governing all Shariah-compliant financial services in an international business and financial centre. Wide choice of entities: Labuan IBFC has a broad range of entities and business and investment structures to cater to cross-border transactions, business dealings and wealth management needs. Strategic location in the Asia Pacific region: Labuan IBFC shares the same time zone with major cities in the region, such as Hong Kong, Shanghai and Singapore, which makes business dealings much more convenient. Tax efficiency: Labuan IBFC offers global investors and financial services providers a competitive tax structure and various tax exemptions, as well as access to the majority of Malaysia’s extensive network of more than 70 double-taxation treaties. Penetration into Malaysia’s insurance market: Labuan IBFC provides access to Malaysia’s strong direct insurance market and offers preferential treatment due to domestic insurance tiering. In summary, it is strongly recommended that risk managers, finance directors, company secretaries and those responsible for recommending risk financing strategies take a renewed look at the merits of forming a captive in view of the changed world we now live in. The added responsibilities arising from recognised best practices in corporate governance and the continuous requirements placed upon management to ensure that their risk management processes remain efficient and cost-effective, will no doubt continue to feed into the growth of captives in Asia. David Herratt is currently Sales Director of CCW Global Limited, a general insurance broker firm based in Hong Kong. With over 30 years of risk management and insurance experience, Mr Herratt has advised many organisations and published articles on risk awareness, risk financing and captive insurance solutions, and is a regular conference speaker and seminar facilitator. He has a clear understanding of where the values of risk management are and the value of risk protections, be they financial or physical. Mr Herratt specifically advises on insurance risk transfer (including captive options), methodology on avoidance, reduction or transfer of risks; planning, designing and implementation of risk management processes; risk assessment, analysis, identification and evaluation; and education, training, and embedding of risk awareness within organisations. His previous positions include serving as a Non-Executive Director of Crosby Capital Limited and CEO of Swiss Insurance Partners. He has worked in London, Stockholm, the Middle East and Asia, holding senior positions within esteemed companies such as the Skandia Group, CLP Power (Hong Kong), Lloyd's (of London), Thomas Miller Risk Management (UK), William Russell Limited, Hampden Capital Limited and Swiss Insurance Partners. He has been working in Hong Kong and the Asian region for more than 20 years. Mr Herratt is a visiting guest lecturer at the Singapore College of Insurance and part-time lecturer at the Vocational Training Council (VTC), Institute of Professional Education and Knowledge (PEAK) and Lingnan University. He is a Fellow of the Chartered Insurance Institute (FCII) by examination and a Fellow of the Institute of Risk Management (FIRM).